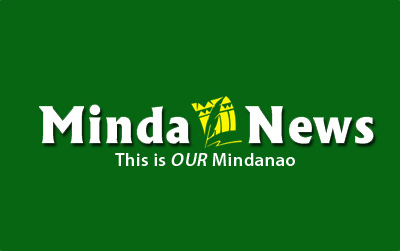 MALAYBALAY CITY (MindaNews/20 May) – City officials expressed apprehensions a 20-kilometer bypass road being constructed to divert traffic from downtown Malaybalay would diminish growth in the area, vice mayor Roland Deticio said. 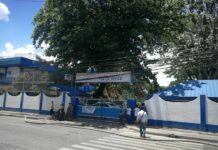 Deticio said the Department of Public Works and Highways (DPWH) is constructing a bypass road from Barangay San Jose to Barangay Dalwangan, diverting traffic away from the city center. “We are opposed to that because of its effect to business in the downtown area,” he added, although he admitted they are yet to file a resolution pending some data on the project. The issue was tackled in an executive session of the city council with Mayor Ignacio W. Zubiri Monday. Deticio said city officials are looking at proposing to DPWH that the new road should connect instead to the city’s circumferential road from Barangay Sumpong to Barangay Casisang, both of which are along the Sayre Highway, Bukidnon’s main artery. “It is nearer the downtown area and it will not drive away business that much,” he added. The DPWH said the bypass road veers from the Sayre Highway near the Del Monte plantation in Dalwangan and ends at the portion of the same highway near the Valencia Rubbertex factory in Casisang. The agency has allocated P100 million from its “regular infrastructure” budget in 2014 for the initial phase of the project covering three kilometers of excavation and other earthworks, Sandra Flores, DPWH-10 public information officer, said. Flores said it will also include payment for road right of way. The DPWH clarified that cutting distance is not the key reason for the construction of the bypass road. 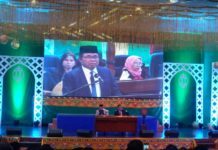 “The objective is to decongest the business center of Malaybalay and open other areas for development,” Flores added in an email Tuesday afternoon. She said the DPWH had initiated negotiations long before for widening of the portion of the Sayre Highway that cuts across the downtown area. “There is difficulty in widening the road within Malaybalay City (proper) because of businessmen’s resistance,” she added. She cited that businessmen resisted the idea because it would mean portions of their properties would have to be torn down to give way to the road. She said the DPWH realized it would be less costly to open a new road than insist on road widening and pay much for road right of way. “(With good and wider roads) this is also another opportunity to spread development within Malaybalay City,” Flores added.